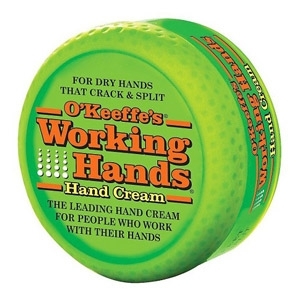 O’Keeffe’s® Working Hands® Hand Cream is a concentrated hand cream that heals, relieves and repairs extremely dry, cracked hands. When used daily, O’Keeffe’s® Working Hands® Hand Cream is clinically proven to Instantly boost moisture levels and help prevent further moisture loss. Creates a protective barrier on the skin’s surface - a difference you will feel within days!